This book is the result of many years of conversations between the author and generations of Muslim youth and young adults. This experience led to a deep level of understanding of the questions on the minds of this group of Muslims. 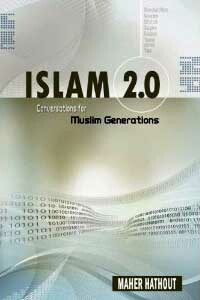 This book is a mixture of information about Islam and lessons from the author’s personal life story. Through this narrative, the author opens a zone of comfort to the youth for thinking and inspiring. This, in turn, will push Islam and Muslims to contribute positively to our society and to humanity at large. While the book is mainly directed to a group of Muslims, it is also a wonderful tool and source of information for all who are interested in learning about Islam. Once in a while a book comes along that can reshape the thinking of the world. One person at a time. Reading the Muslim Mind is such a book. Dr. Hassan Hathout starts out from a simple observation a lifetime of biculturalism (the Egyptian-born physician initially resided in Britain and has lived in the U.S. for more than a decade) leads him to note that Islam is widely known in the West for what it is not. This encyclopedic personality (doctor of medicine, thinker, speaker, poet) sets out to guide the reader on a comprehensive tour through Islam. For this voyage, he supplies a keen and lucid anatomy of the Islamic life. He also provides, with incisive clarity, the inner guidebook; he uncovers the tracing of the mind at work behind the practice, the spirit behind the letter, the rationale and the Ultimate Reason, God. For non-Muslims and those who follow what Dr. Hathout aptly calls the Judeo-Christian-Islamic world tradition at large, the trip proves illuminating and thought-provoking. For Muslims, it will re-anchor their faith and offer vital and timely answers to up-to-the-minute dilemmas of life in the new millennium. 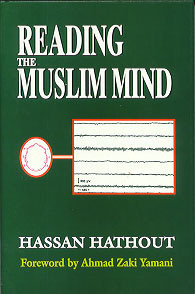 Reading the Muslim Mind addresses key issues of our time, from the Islamic perspective. Dr. Hathout, in this wise, warm and inspiring work, is speaking to the audience of humankind in the Age of Selfishness, Microtheism, and Godlessness. In his clarion call of hope, the author maintains that when a minimum critical mass turns to understanding and cooperation, real change is possible. To be known for what one really is, is nothing less than a basic human right, Dr. Hathout notes. Here, then, is Islam as it really is, and the world as it really can be. The desire to become a vibrant and positive force in the American pluralistic fabric lies at the heart of Ahmed Younis’ examination of where we as a nation are in relation to the world, and how key issues are shaping the reality of ‘war’ — beyond stereotypes, beyond nationalism to a new and brighter reality. At the heart of this analysis lies the third (and largely overlooked) component of Islamic law — “ijtihad,” which mandates that Muslims exercise human ingenuity in tackling current realities. “Voir Dire” offers a fresh perspective of how we got here as a nation — as told from the perspective of a young American Muslim law student rooted in American culture and Islamic values. Blending history, spirituality and activism, Younis provides a thought-provoking study that calls for the cognitive revival of American Muslims. 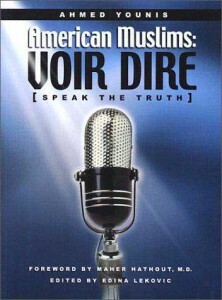 “Voir Dire” serves as a compelling wake-up call to American Muslims in particular who are seeking to understand their reality and take ownership over the future of their country. From pre-revolutionary Egypt to the Muslim Brotherhood, and from imprisonment to exile, this is the life of Fathi Osman: a leading Egyptian-born thinker at the forefront of modern Islamic reformism for nearly four decades. Joining the Muslim Brotherhood as a young man, Fathi Osman rose through the ranks of the organization thanks to his own considerable oratory skills and his relationship with leading Brotherhood figures, Sayyid Qutb and Hasan al-Hudaybi. But as he began to recognize the covert violent aspects of the Brotherhood, he increasingly distanced himself and voiced his opposition. He was, due to his association with the Muslim Brothers, imprisoned a number of times before he eventually left Egypt in self-imposed exile. 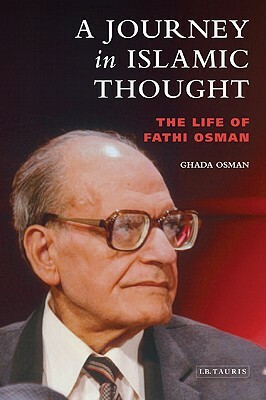 Using interviews, family documents, and archival materials to chronicle Fathi Osman’s ideological development from spokesperson for the prototypical Islamist movement to formulator of a radical Islamic reformist ideology, Ghada Osman sheds light on the lure and inner workings of a major Islamist movement and the role of Islamic reform in the global arena. In the process, she has produced a dispassionate and thoroughly researched biography of a major figure of the twentieth-century Arab and Muslim intellectual world.